JOSEPH G. ONDO, age 89. Beloved husband of the late Mildred (nee Belica) and Jean (nee Setser). Dear father of Michael (Leslie) and Joseph (Lynn). Grandfather of Emma, Joey, Annie and Lindsey Ondo. Brother of George - deceased (Veronica – deceased), Andrew - deceased (Marie), Paul - deceased (Rose), Ann Vetrick - deceased (Thomas – deceased), Anthony - deceased (Louise) and Fr. Michael - deceased. Brother in law of Ruth Teutsch (Bob) and John Belica. Loving uncle and friend to everyone he met. U.S. Army Korean War Veteran. Funeral Mass Friday April 12, 2019 11:00 am at St. Charles Borromeo Church. Interment Holy Cross Cemetery. 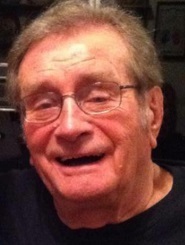 Friends may call at the SCHUSTER STRAKER O’CONNOR FUNERAL HOME 5904 Ridge Road Parma from 4:00 – 8:00 pm Thursday.